Hey, darlings! 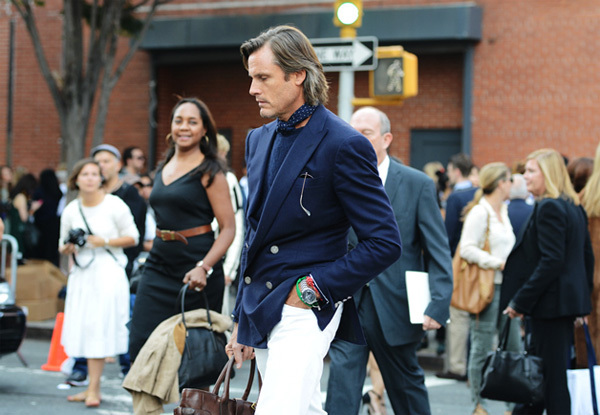 We're back with another round of Menswear Monday. I intentionally missed posting last week because I didn't really intend for this segment to have a regular Monday slot. I didn't want it to be like I was forcing myself to look for looks I liked. I wanted it to be more, you know, legit finds--if that makes any sense. So, today, we've got men and their accessories! Yep, it works for the guys too. Hope you like these as much as I did! I'd say this is a snazzy casual Friday look shot by Elrico Bellingan of Luxo. 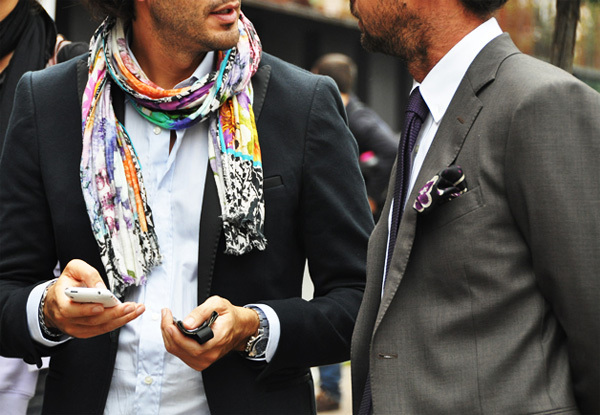 Scarves and pocket squares. Now, I don't know who took this one, but I found it at Carola & Chiara's blog. 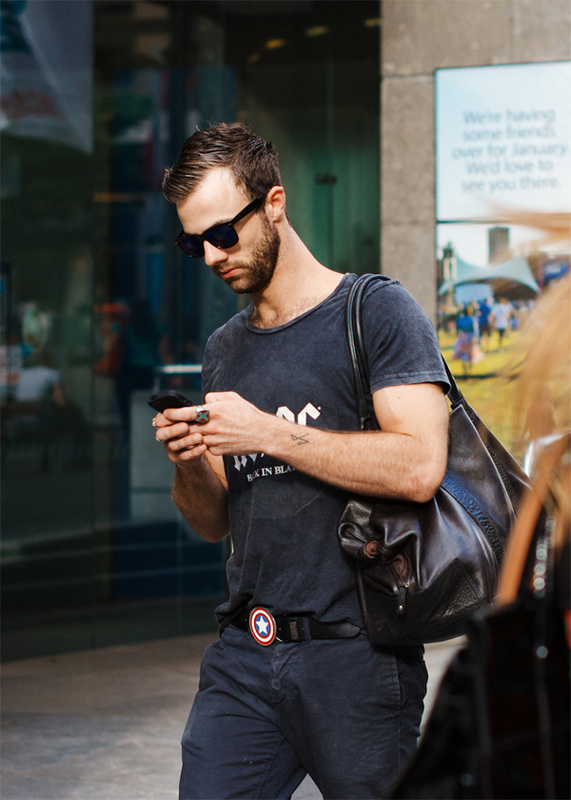 Men In This Town is one of my favorite blogs for street style snaps. Check out that belt! A satin ribbon tie? Why not. Elastic Reality. Alrighty! That about wraps it up for this post. I was actually suggested to try out actually injecting some men's clothes into my looks as another version of Menswear Monday. What do you think? Although, I might have to raid my brothers' closets. Hmmm, having three brothers might come in handy after all. LOL. I'm still not sure how I'll go about this though. Any thoughts/tips? That's so nice to hear. Thank you, Michelle! I'd love to see how you'll style with men's wear. Go! Ah! I have to agree with you on that! Lovely blog, missy! Following you now. Hope you can share the love back by visiting/following my blog as well.